I was reminded this week of an excellent piece of advice I was given when I first started getting interested in ‘travel hacking’: sign up to all the loyalty programmes you might conceivably make use of RIGHT NOW. This might not seem particularly revelatory, but it’s so easy to think, “oh, I’ll just do that later or when I need to” – and by then, sometimes, it can be too late. Starwood Preferred Guest just launched an excellent 35% discount for buying Starpoints during June, but your account must have been open for at least 14 days. With either of these offers you could easily imagine a situation where you make a note to make a purchase later in the month when you’ve confirmed your plans/ been paid/etc, only to find you can’t because you don’t have an existing account open. Why risk it – just go and sign up now! 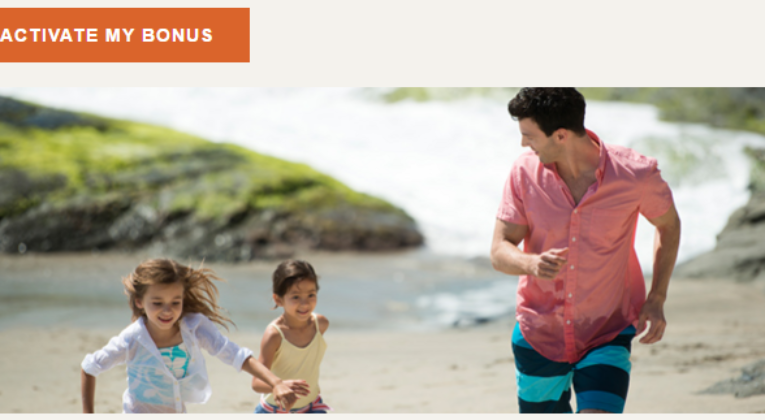 Yep, 10,000 Bonus Points for any first stay – on top of any existing Accelerate bonus. Is there a downside to signing up now? I don’t think so really, no. There are occasional time-limited offers that offer small bonuses for new sign-ups, particularly if referred by a friend etc, but they are rarely significant. If there was something particularly juicy, you could just open up another account anyway. If you haven’t made use of the existing account, it’s not like you’re missing out on anything my opening a new account. For example, the current 1,000 free Avios offer for signing up to Marriott Rewards is brilliant and I don’t see a huge amount of harm if you forget that you might already have a Marriott account. Go and sign up to all the loyalty programmes you’ve been meaning to sign up to for a while. It can be difficult to predict what’s around the corner when it comes to loyalty programmes, but having an account already set up gives you more flexibility. Just because I had a Virgin America Elevate account already set up, I ended up with 10,000 free Alaska Miles when the merger happened, so sometimes the rewards of membership really can be quite significant! I’ve had reason to be glad I opened an Iberia Plus account more than 90 days ago, allowing outward transfers of avios. … if you forget that you might already have a Marriott account. Taking it a teensy bit further, is it at all plausible I might forget I only just linked my SPG account to the Marriott account I can’t remember having opened? Sound advice. Alaska Mileage Plan is worth having anyway because of some excellent redemption opportunities (e.g. intra-Asia in J for 25,000). Not easy to earn the miles in Europe but you can simply transfer 20K SPG points in to get 25,000 miles.